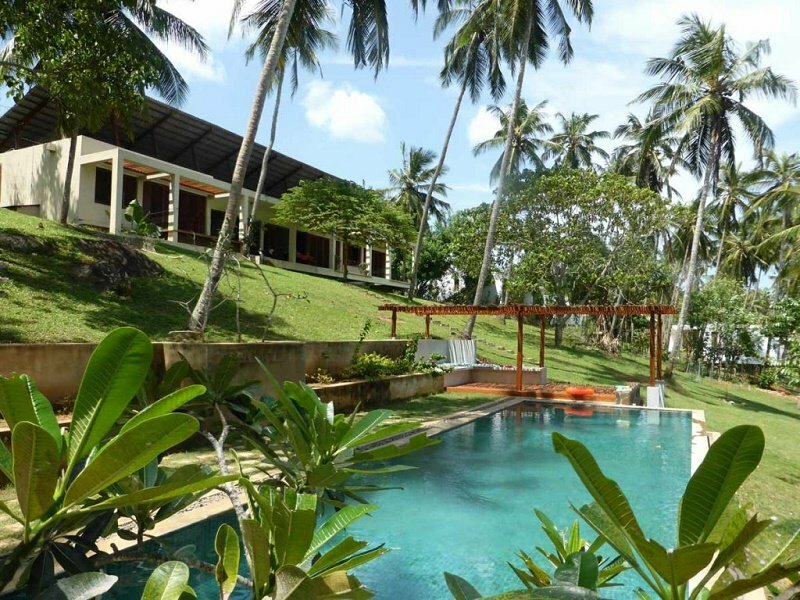 Modern beachfront Villa with pool in Tangalle. Elevated Ocean Views. Child-friendly Villa. 03 Bedrooms – Sleeps 08. 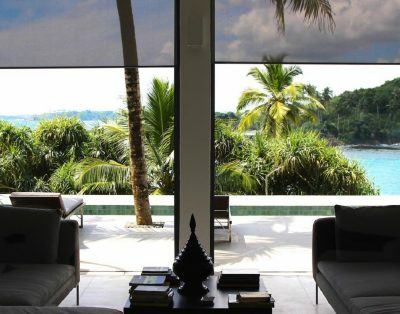 This modern beach house was designed and built by a Singapore-based family. It is a perfect getaway for friends and families, away from the hustle of the towns. The ocean facing house is located on the crest of Mahawella headland, facing due south towards the famous Hoo Manyia blowhole. The house has 3 bedrooms, each overlooking the garden and ocean. Each having double, four-poster bed and garden terrace. The walls of the main lounge open on both sides allowing views and sea breeze to spill into the house. Long deep sofas fill the lounge – perfect for relaxing and enjoying the views. The house is approximately 3 hours’ drive south of Colombo. 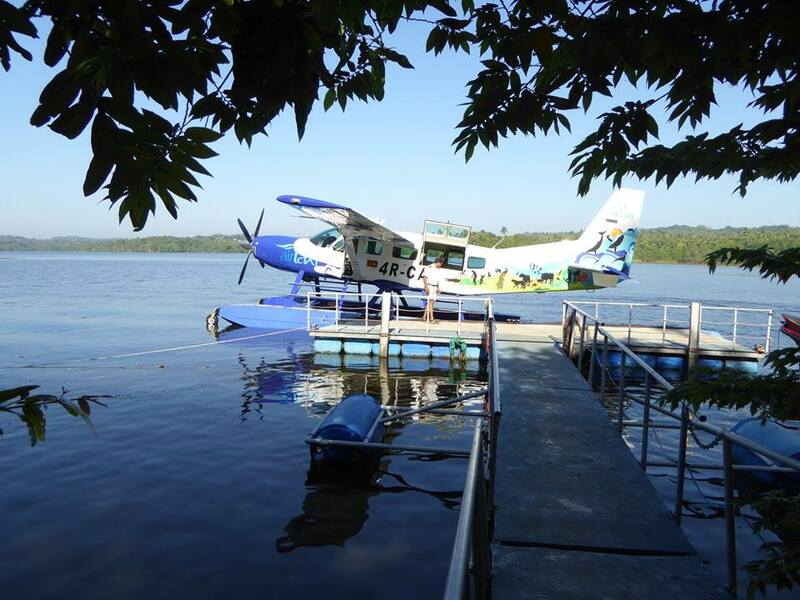 Alternatively, you can take the Sea Plane (landing on Dickwella Lagoon behind the house). Living and Lounging: The house is designed to encourage outdoor living. The two 3m wide entry doors open up the north wall of the house and the ocean view doors slide and stack open offering the living spaces to the breeze and ocean. The sunken lounge and galley kitchen are the soul of the house. 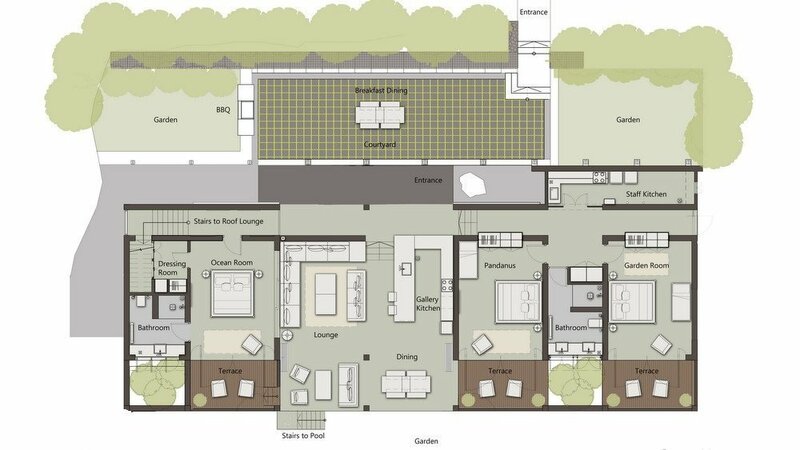 Living, dining, cooking (if you want to), chilling and relaxing are all in open space. CLOSEST BEACH: A beach is accessible from the house, through the cinnamon gate at the bottom of the garden. Take the steps down to the rocks for a wonderful isolated spot to sit and absorb the ocean song. The beach is accessible either across the rocks or via a pathway at the top of the headland. 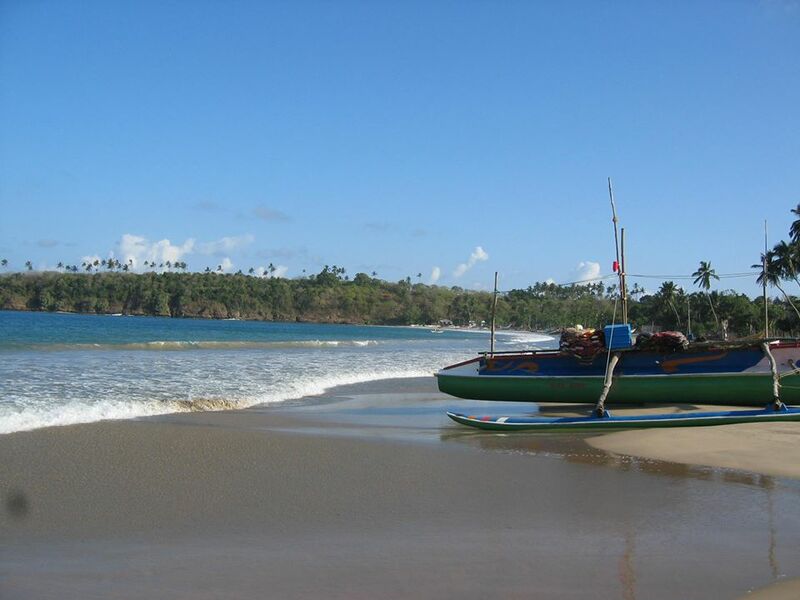 CLOSEST SURFING BEACH: Hiriketiya beach, 10 mins tuk tuk drive. 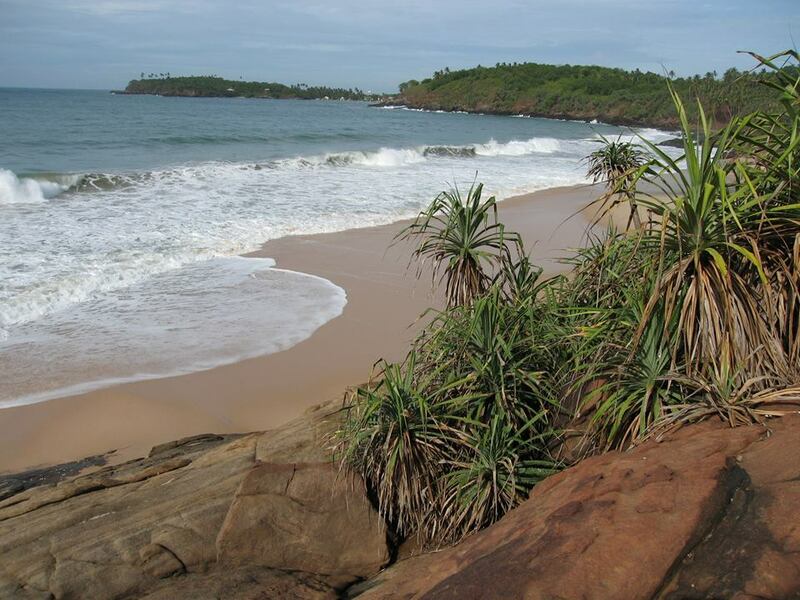 CLOSEST SEASONALLY SAFE SWIMMABLE BEACH: Mawella Beach, 10 minutes walk. Ocean Room: Located a split level above the lounge, the suite has a private ocean view terrace with large pivoting doors opening the bedroom to the ocean views. Sliding timber wall panels can open up the bedroom to the lounge and a walk-in dressing room and bathroom complete the suite. The room is provided with King bed. Pandanus: A large double bedroom with ocean facing terrace overlooks the large pandanus in the centre of the garden. Large pivoting doors also open onto a garden/ocean facing deck. Built-in wardrobes and connection to the adjoining bathrooms suite complete the room. The room is provided with King bed + 1 single bed. Garden Room: Located at the end of the main house, the room also has a large terrace and pivoting doors and large timber shutters opening to the garden. Built-in wardrobes and connection to the adjoining bathrooms suite complete the room. The room is provided with King bed + 1 single bed. TOTAL: 3 king size beds and 2 extra single beds with mosquito nets. Two Baby cots are available. Swimming Pool: The swimming pool nestles in the sloping garden, the infinity edge matching with the ocean horizon. The 15m length is enough to give you a gentle workout and is plenty of space for the family to relax. The pool is not fenced so the safety of all is down to the responsibility of the adults and each other. A timber cabanas provides a shaded pool lounge at the end of the pool. Beach: A beach is accessible from the house, through the cinnamon gate at the bottom of the garden. Take the steps down to the rocks for a wonderful isolated spot to sit and absorb the ocean song. The beach is accessible either across the rocks (be careful!) or via a pathway at the top of the headland – please ask the staff to show you. Wildlife: There is a wide variety of bird and animal life in the garden, from the resident peacocks, monitor lizards to the Grey Langur with the jet black face and the cheeky Macaques who enjoy eating the house garden fruits. You may be lucky to see porcupine, Giant Squirrels or Jungle Hares scampering across the garden. The bird life is prolific with peacocks, sea eagles, the Ceylon Grey Hornbill, barbets and the noisy Green Billed Coucal. Books and binoculars are available in the house to check anything interesting you may see. Breakfast on the lounge terrace is a great place to watch the birds grab a fruit breakfast from the tree right outside. Fun: Badminton or a kick around on the lawn. Board games (monopoly, Scrabble and Cards are available for use). INTERNET: Given the location, there is currently no broadband accessibility in this area but the house is able to get good service using SIM cards. The staff can assist you in getting connected. The house has no TV. The house is not air-conditioned. All rooms have ceiling fans, and plenty of ocean breeze. As the house is located on a sloping headland, it is not accessible for wheelchairs. However, the staff are there to assist and accommodate as much as they possibly can. Food is important to the house and the menu reflects the best seasonal produce locally available. Sri Lankan dishes form the basis of the menu along with great salads, pasta and seafood. The seafood is bought fresh daily (as needed) and includes; tuna, snapper, Spanish mackerel, squid along with mussels and lobster which are collected and caught directly in front of the house (they are seasonally available, so please check with the staff). Meals can be served in a variety of locations – just ask the staff – the courtyard – quiet, shady and peaceful – the terrace – beautiful ocean and pool views and lots of bird and wildlife in the early morning – the garden – a picnic under the shade of the trees overlooking the ocean or a loungey lunch by the poolside under the shelter of the cinnamon cabana. A menu can be provided in advance if required. LUNCH AND DINNER: Sandiya & Gunawathie are both good cooks, but not professionally trained: they make excellent Rice & Curry and also some western dishes; there is a Menu, which they know. Alternatively, you are welcome to cook yourself and they will help with preparations. Food is at cost of ingredients and transport from the local market: please do visit the market with them when they go as it is an interesting experience. ALCOHOL & DRINKS: We recommend you stock up at Duty Free as the stock of especially wine at the local stores is limited. The Villa can buy Beer & soft drinks locally. The Hoo Manyia Blowhole Kudawella – Across the bay from the house is one of the world’s tallest blowholes. If you are there during the right season, you can see it from the house or take a tuk-tuk to climb the path to the site to get closer the spectacle. MAHAWELLA BEACH is a short walk down the driveway, along the canal. 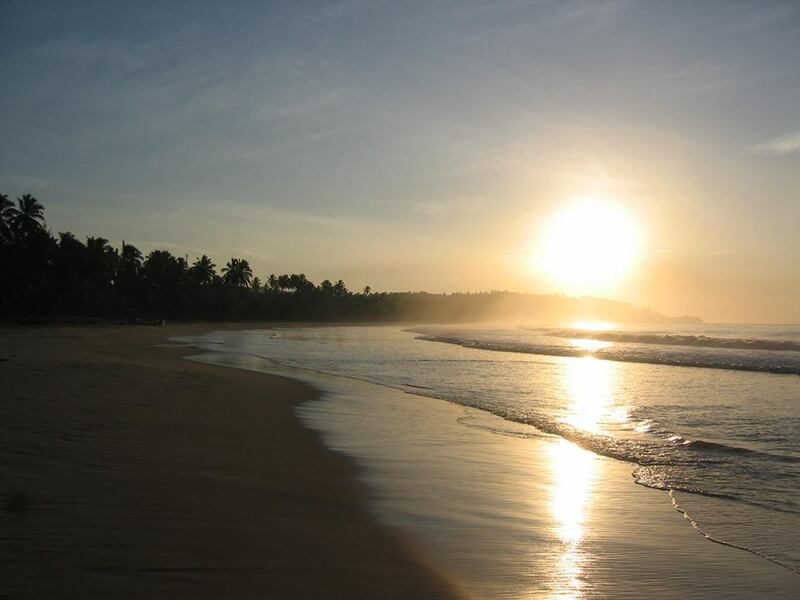 It is one of the best beaches in southern Sri Lanka – 2km of soft sandy bay. THE ROCK TEMPLE – For the energetic, the rock monastery of Mulkirigala is built around a large granite outcrop has great historical significance dating back to the 2nd Century BC. Its 515 steps make the view from the top even more rewarding. Take some water with you! THE SPICE COUNTRY– Within a short drive you can enter the Spice Gardens. An area famed for its production of Cinnamon, Cloves, Pepper, Nutmeg and Chillis. You can visit the plantations to learn how the spices are grown, harvested and used. TURTLE CONSERVATION PROJECT– Southern Sri Lanka is fortunate to have several species of turtles visiting its shores. The Turtle Conservation Project in Rekawa is half an hours drive from the house. If you are visiting in the right season you can also witness the turtles laying eggs and the young turtles hatching and making it back to sea – if you’re lucky! 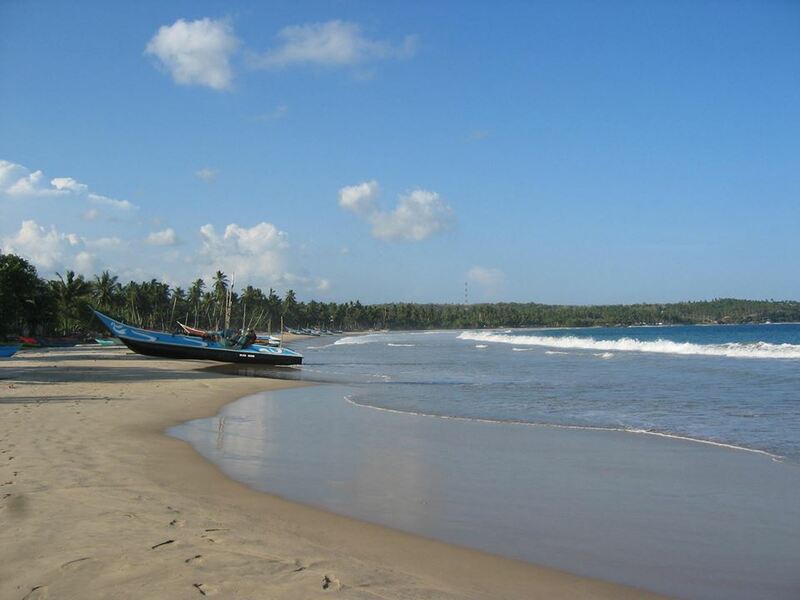 MARKETS – They have a choice of local markets and fishing harbours to visit. The staff will gladly take you along to explain the exotic produce on offer. SAFARI – Yala or Udawallawe National Parks are less than an hour away. You can find leopards, elephant, buffalo, crocodiles, jungle cats, jackals and countless birdlife. 10% Service charge to be added to the Rental Rate. Please send us an email to check rates over Christmas and New Year, or Chinese New Year and Easter. Prices may change based on the time of your booking, arrival date and length of stay. Whilst every effort is made to keep rates current, they are subject to change from time to time. If there is a rate change you will be informed before a booking is confirmed.